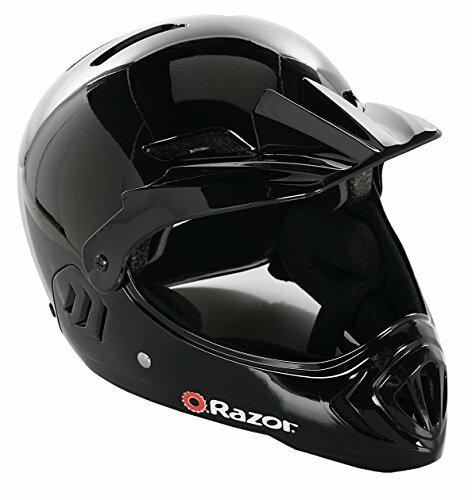 Extreme riding calls for all-around protection from the Razor Full Face Bike Helmet. 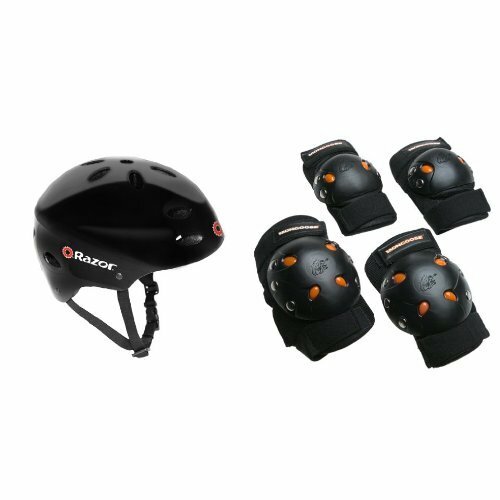 With vents and extra padding for cool, ventilated coverage, this helmet offers durable protection as they ride. A full circumference headband with padding boosts comfort, and a vented mouth cover ensures extended coverage to all areas of the face. 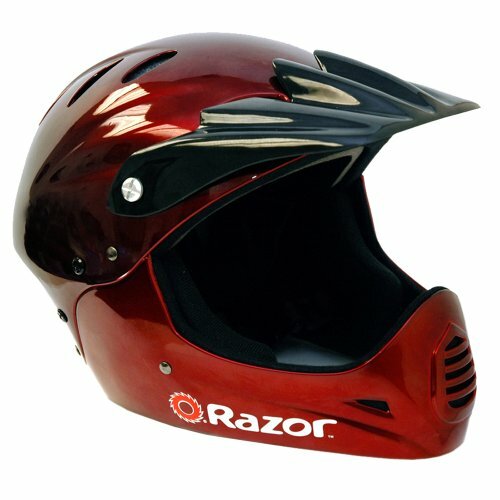 They're wild when they ride, so help keep them safe with this full-face helmet. The Razor Pocket Mod gives every kid with an eye for style and passion for fun a set of wheels that is sure to be the hottest accessory on the block. 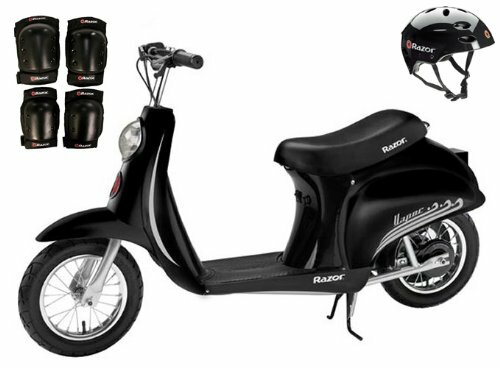 Vintage inspired styling meets high performance with the classic Italian scooter design. Featuring a high performance, vintage inspired body and a chain driven electric motor, the Razor Pocket Mod can reach speeds of up to 15 miles per hour plenty fast enough for a quick trip to the corner store or a fun ride in the country. The scooter also teams a pair of 12 inch pneumatic tires with a rear suspension system to ensure a comfortable ride. 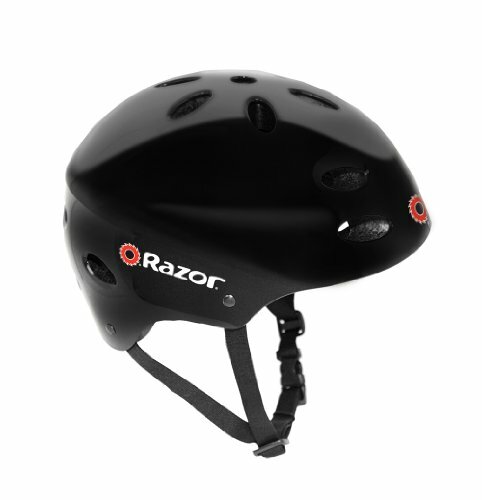 Keep playtime fun and safe with this Razor Safety Helmet. Featuring 17 vents and ergonomic interior, this helmet provides safety while keeping the rider's head cool and comfortable. The sleek glossy black finish has a professional look when your little one pushes the limits on their bike, skateboard, scooter or whatever else they choose! 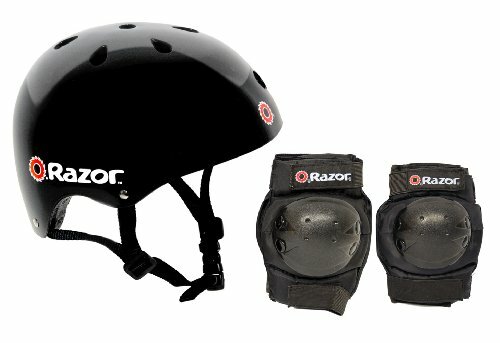 Featuring hard plastic slideable caps to deflect impact, heavy stitching and extra thick interior fleece the Razor Pro Elbow & Knee Pad provides a super comfortable barrier between your child's skin and the ground. Make sure playtime is filled with smiles and laughs instead of cuts and scrapes. 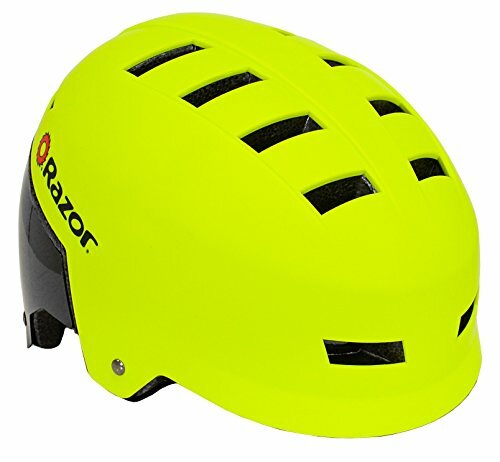 The Razor multi Sport helmet unites superior quality with a cutting edge design.. your perfect choice for biking, skating or any other Sport that requires protective headgear. 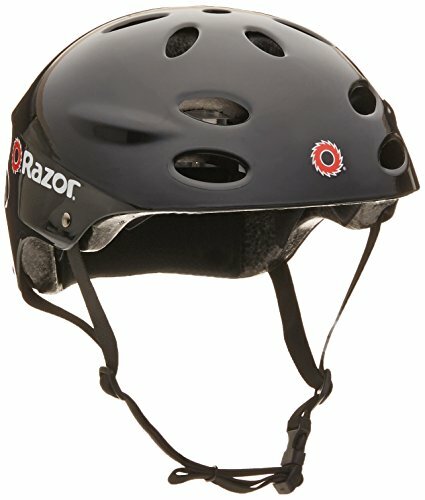 On the street or in the half pipe the Razor helmet provides you with superior security and protection. The ergonomic designed padding and an additional sizing pad set for the perfect individual fit guarantee ultimate comfort. The vents keep your head cool at all times and the side release buckles make it a breeze to adjust and fasten your chin strap.